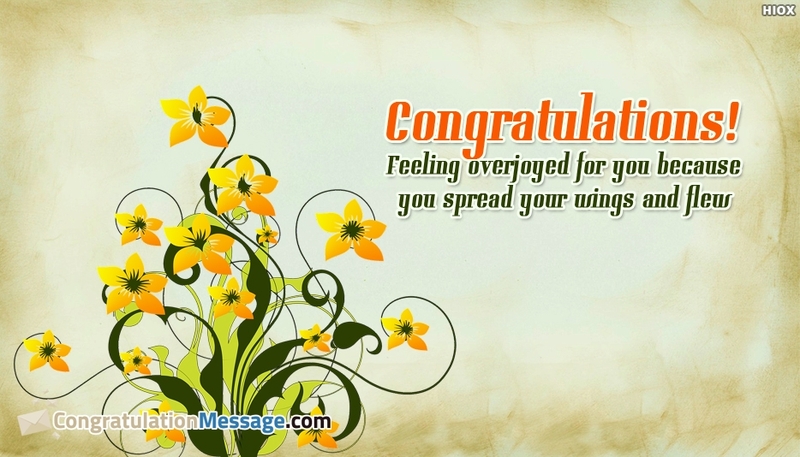 A floral printed pleasant and appealing Congratulations note for free download. Your simple wish can cherish someone's day. The image with the message "Congratulations! Feeling Overjoyed For You Because You Spread Your Wings and Flew" can be shared through any social media to shower your wishes for someone's success.